Visit one of the main attractions in Taiwan! 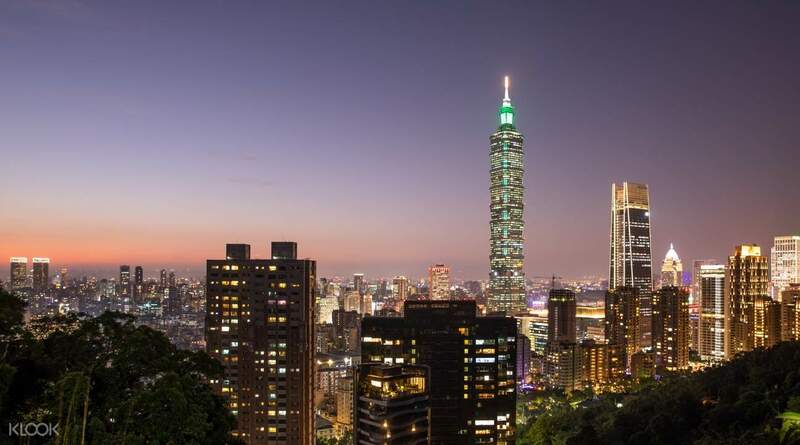 Check the Taipei 101 Observatory Priority Pass Ticket if you prefer entering directly without waiting in the long queues! 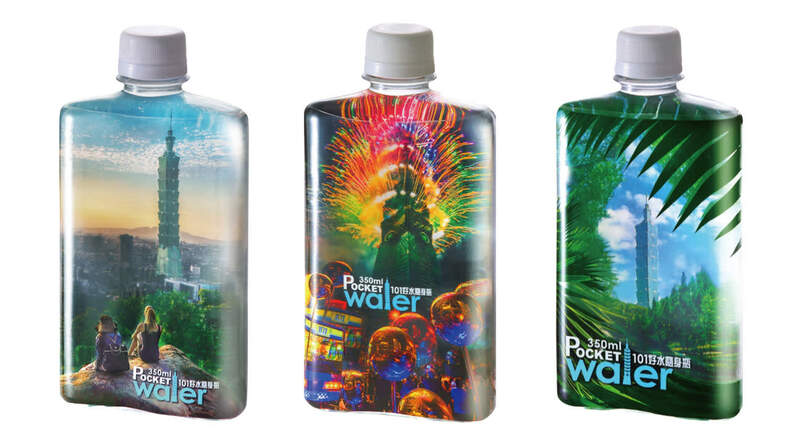 Before 30 Jun 2019, travelers from Thailand, Vietnam, Philippines, and Indonesia who purchased the Taipei 101 Observatory e-ticket via Klook can donate 2 books in your language in exchange for a limited Taipei 101 edition Pocket Water bottle! Very convenient to get tickets. It was an awesome experience overlooking the whole of Taipei. A day after our visit, a strong earthquake hit Taiwan. 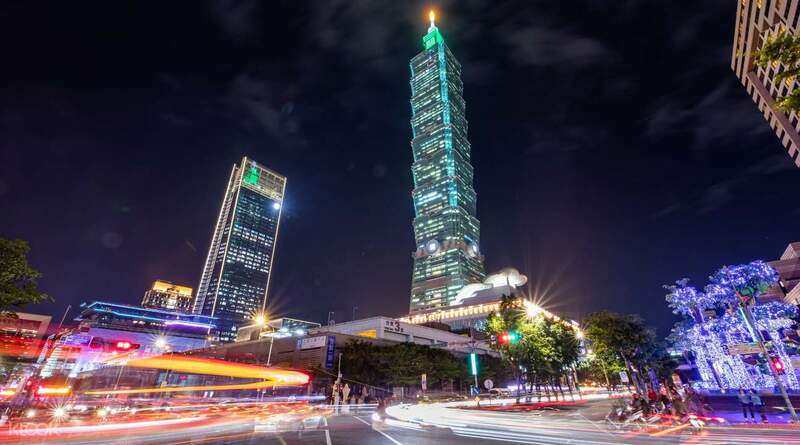 Formerly the world's tallest structure, a visit to Taipei 101 is quite simply a must see attraction for anyone visiting the Taiwanese capital. 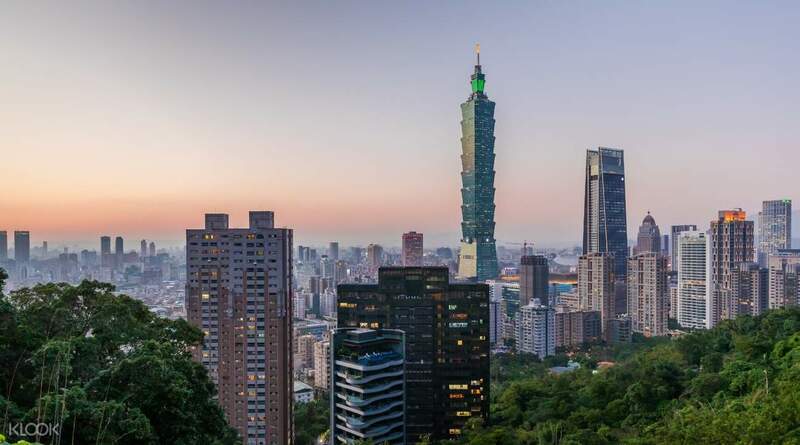 On a clear day you can take in some of the best views in Asia and see all the way down to the Taiwan straits, as well as clear views of the mountainous spine of this beautiful island. What's more, you can get to the top in one of the world's fastest elevators arriving at the top in a mere 37 seconds! An incredible feat of engineering, this megastructure is stabilised by an enormous 730 ton damper - an equally impressive sight on the 87th floor. 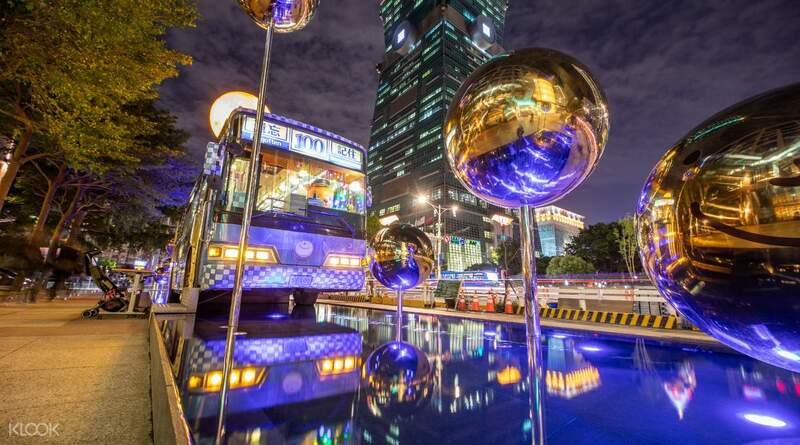 Purchase your Taipei 101 Observatory ticket at Klook and enjoy admission discounts! Collect your ticket at the ticket machine fast and conveniently! it was an amazing experience. first time to be in the 91st floor of a building. it only took us 37 seconds to be on the top. i enjoyed looking for the whole taipei up above. i also tasted their mango shaved ice cream it was delicious. was able to see the balancing ball on the 88th floor and see the different coral and gems...it was a fun filled experienced for me and my family. it was an amazing experience. first time to be in the 91st floor of a building. it only took us 37 seconds to be on the top. i enjoyed looking for the whole taipei up above. i also tasted their mango shaved ice cream it was delicious. was able to see the balancing ball on the 88th floor and see the different coral and gems...it was a fun filled experienced for me and my family. No need to queue at the ticket counter. You can redeem your ticket at the kiosk beside the ticket counter. Just input the voucher code and the last four digit of your passport or id. Very convenient and cheaper buying at klook. No need to queue at the ticket counter. You can redeem your ticket at the kiosk beside the ticket counter. Just input the voucher code and the last four digit of your passport or id. Very convenient and cheaper buying at klook. Super worth it!! Just go to a ticketing kiosk. Got confused at first because it required a password but everything’s written there in the instructions. Make sure to read it carefully. Experience-wise, worth it. Extremely speedy elevator so don’t miss it once you step in. Explore the whole place and there’s a gift shop where you can buy souvenirs. Super worth it!! Just go to a ticketing kiosk. Got confused at first because it required a password but everything’s written there in the instructions. Make sure to read it carefully. Experience-wise, worth it. Extremely speedy elevator so don’t miss it once you step in. Explore the whole place and there’s a gift shop where you can buy souvenirs. so glad theu had this activity on klook! much cheaper than their tickets on site. easy to book and hassle free to claim the physical tickets. we literally book the activity at 1:30pm and claimed the tickets 5mins after. and then boom at 1:45pm we are already riding the elevator that will bring us at top of the taipei 101 observatory! they also gave me a free 50th year coca cola anniversary souvenir that i claimed in the souvenir shop because i bought 2tickets! must try in taipei! so glad theu had this activity on klook! much cheaper than their tickets on site. easy to book and hassle free to claim the physical tickets. we literally book the activity at 1:30pm and claimed the tickets 5mins after. and then boom at 1:45pm we are already riding the elevator that will bring us at top of the taipei 101 observatory! they also gave me a free 50th year coca cola anniversary souvenir that i claimed in the souvenir shop because i bought 2tickets! must try in taipei! Had a wonderful experience at Taipei Observatory. Thanks to klook it made it really easier to get a ticket. What i also like to note is receiving a limited edition coke with taipei observatory design, we got it for booking thru look. Anyway, i recommend you go to the observatory at night for a better view of the city lights. Had a wonderful experience at Taipei Observatory. Thanks to klook it made it really easier to get a ticket. What i also like to note is receiving a limited edition coke with taipei observatory design, we got it for booking thru look. Anyway, i recommend you go to the observatory at night for a better view of the city lights. We love the experience. Klook made it easier for us specially that we dont have to fall in line. Even if i booked my tour in the evening i was able to changed it at the reception. They were friendly and accomodating. We love the experience. Klook made it easier for us specially that we dont have to fall in line. Even if i booked my tour in the evening i was able to changed it at the reception. They were friendly and accomodating. We missed our schedule so we had to queue to get the tickets but we didn't mind since we didn't have to wait for a long tjme. Upon reedeming the voucher we were delighted to find out that there is a free Coca Cola item (with a picture of the Taipei 101 on it) when booking with Klook. We missed our schedule so we had to queue to get the tickets but we didn't mind since we didn't have to wait for a long tjme. Upon reedeming the voucher we were delighted to find out that there is a free Coca Cola item (with a picture of the Taipei 101 on it) when booking with Klook. Q: Can I enter the observatory directly with the e-ticket Klook sent to me? A: No, please redeem your physical ticket at the counter on 5F. Q: If I can't go on the date I selected when booking, can I go on another day? 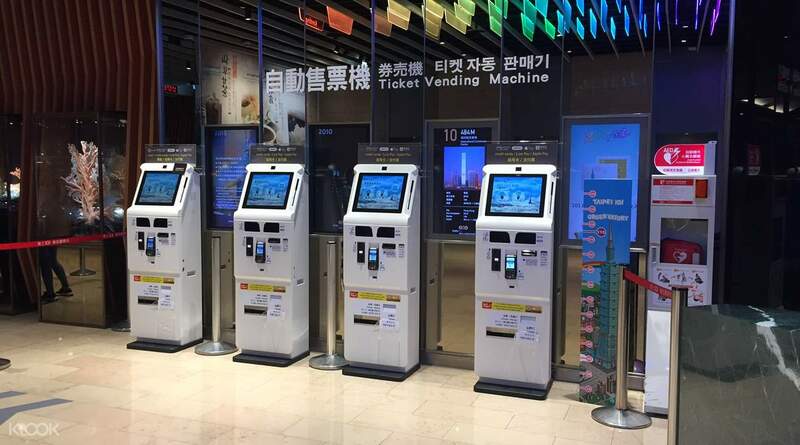 A: If your plans change and you want to visit before or after the date you booked, you will need to request the change at the Taipei 101 ticket counter directly. Changes are subject to availability.